Pink shimmer perforated leather espadrille with suede sole. Flexible soles and cushioned foam insoles provide protection and comfort for healthy foot growth. 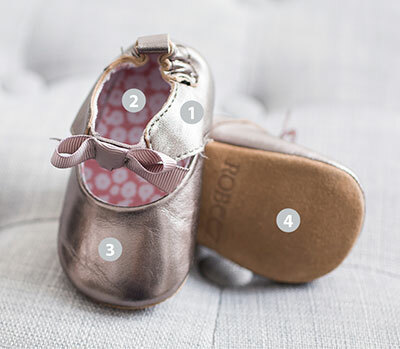 Elasticzed ankle design ensures they stay on little feet. Runs true to size. My 12 month old new walker would not wear shoes! I ordered these and she loves them! She wears them all the time and they're very cute!